With softwood duties finalized, what do investors need to know? With softwood duties finalized, what do investors need to know? The Woodworking Network says the duties will increase lumber prices; Seeking Alpha says lumber is an important staple to watch; the Motley Fool says investing in lumber companies might be a good idea; and the Institutional Investor says timberlands are poised for a resurgence. In other Business news, BC’s Doug Donaldson is heading to China and Japan to diversify BC’s wood markets; federal MP Richard Cannings hopes relief can come via his bill encouraging more wood use in buildings; and Interfor is expanding lumber production in Meldrim, Georgia. Elsewhere, more on the “disappearing caribou“; the jumbo air tanker may live to fight [fires] another day; and in Montana’s post-fire world salvage work begins and environmental groups spar. Congratulations to our friend and colleague Richard Wallace, who will retire after 38 years as a wood champion for Southern Pine and all things cellulose. And finally: lest we forget: we’ll be remembering and honouring our heroes tomorrow. Concluding a multi-faceted 38-year career with SFPA, Richard Wallace has announced plans to retire in December. Richard arrived at SFPA headquarters in two days before Expo ’79, following a rather lengthy, circuitous career path. …Richard brought his film-making and photography skills to SFPA in June of 1979… was promoted to media director and… after Hurricane Katrina in 2005, he became vice president of communications. “It has been a pleasure to work with Richard during his 38 years of service to the Southern Pine industry and SFPA,” commented SFPA Executive Director Tami Kessler.” …“On behalf of all members, I want to recognize Richard for his many contributions to our industry and thank him for his dedication and the creative work he has provided SFPA throughout his career,” commented SFPA Chairman Kerlin Drake. …Travel, writing a book or two and flying his drone are some of his retirement plans. Last week, the U.S. Commerce Department announced what the final duties would be on softwood lumber imported from Canadian producers. Although the rates decreased from the high preliminary rates that were announced earlier this year, the duties still remain high. Canfor Corporation saw its rate drop from 27.98% to 22.13%, while West Fraser Timber Co. Ltd. remained saddled with the highest duty of 23.70%, which is down from 30.88%. Aside from a few companies, Canadian softwood lumber producers did see the final duties come in lower than the preliminary ones. The U.S. International Trade Commission ultimately will have to approve these duties, and a decision is expected mid-December. …Al Balisky, president of Meadow Lake Tribal Council (MLTC) Industrial Investments – the company that oversees NorSask Forest Products – may not have directly quoted renowned German philosopher Friedrich Nietzsche, but he promises things will only continue to get better at the local sawmill in spite of what many could perceive as a major blow to the Canadian lumber industry. …“The key outcome to this is we have to up our game,” Balisky remarked. “It will mean a significant squeeze on our revenue, but we intend to hang in there and keep the sawmill going in Meadow Lake. It’s an important part of this community and to the surrounding area.” According to Balisky, NorSask currently exports close to 60 per cent of its product to U.S. markets. Fortress Paper Ltd. (TSX:FTP) (OTCQX:FTPLF) reported 2017 third quarter operating EBITDA of $0.2 million, a decrease of $7.4 million relative to the comparative prior year period and a decrease of $4.1 million over the previous quarter. The Security Paper Products Segment generated operating EBITDA of $1.8 million, the Dissolving Pulp Segment generated operating EBITDA loss of $0.5 million, and corporate costs were $1.1 million in the third quarter of 2017. …The results of the third quarter of 2017 were also negatively impacted by approximately 5% lower realized sales prices, a stronger Canadian dollar relative to the US dollar and higher costs associated with the previously mentioned evaporation bottleneck which is scheduled to be permanently remediated during the fourth quarter annual planned shutdown. Robson residents living across the river from the Interfor sawmill say noise from the mill is disrupting their lives and despite multiple requests to the company to fix the problem, residents say the problem persists. …Interfor has owned the sawmill since 2008, but Terry says the noise only became a problem five years ago, when he and Karen sent their first letter to Interfor in September 2012. Smith and Markin confirm that a meeting took place and say that the Interfor representatives said that they would look at different options to mitigate the noise….Smith also said that he’s talked to someone from Interfor since and they said they’d put some sound dampening blankets up. “They are making some efforts,” said Smith. Premier John Horgan said last week in a press conference that he will take on American “lumber barons” in the softwood lumber dispute. …“We will continue to fight for the 60,000 British Columbians who depend on forestry,” said Premier Horgan. …Forests, Lands, Natural Resource Operations and Rural Development Minister Doug Donaldson headed to Asia for a week-long trade trip with over 35 senior forestry executives to lobby in China and Japan. He said that he has not had a chance to speak with smaller producers like Kyahwood Forest Products in Moricetown. Donaldson said he planned to talk with smaller producers about cash flow issues from the retroactive demand from the U.S. that deposits be made in April effective back to January. …“My focus is not simply on trying to assist people who are going to be laid off but try to make sure people don’t get laid off,” he said. The City’s CAO praised local firefighters for their efforts in battling a blaze at Tolko Lakeview that destroyed portions of the sawmill building. “I watched our department heroically fighting the fire inside the structure,” Milo MacDonald told city council during its regular meeting Tuesday. “They did everything they possibly could. …” The City has a mutual aid agreement with the 150 Mile Volunteer Fire Dept. who came to assist, staying through the night. …For the most part the fire destroyed saw filer and sawmill offices, and the water used to fight the fires damaged computers and electrical components. Hoffman said he knows everyone is anxious to know when the sawmill is going to restart, but it is going to take some time to do the assessment. Returns from U.S. timberland investments have been depressed since the housing market collapse. A decade later, the asset class may finally be poised for a comeback. When the U.S. housing market crashed in 2007, demand for lumber plunged along with it. With fewer houses being built, fewer building materials were needed, and investors in U.S. timberlands — who had up until the financial crisis been seeing near-double-digit gains on their timber holdings — felt the blow of lower returns. 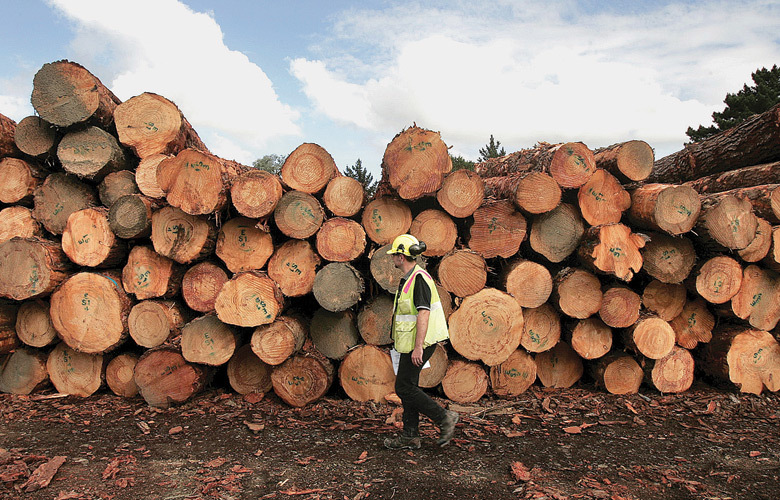 …Even as most other asset classes recovered from the crisis, U.S. timber performance remained “well below the historical average,” says Tom Johnson, a managing director at Timberland Investment Resources. But now, he adds, timber may finally be on the cusp of a resurgence. Earlier this week, the U.S. Department of Commerce announced the final determination of antidumping and countervailing duties on imports of Canadian softwood lumber products into the United States. The U.S. Lumber Coalition, an industry group, said it supports this development as it will proportionally counter the subsidies that the Canadian government provides its lumber industry in abuse of U.S. trade laws. …“This is another example of a complex system being upset by side effects,” said Gene Wengert, the Wood Dr. “We do not have enough wood in the U.S. to make all our houses, actually to frame our houses, so even with the tariff, we will continue to use huge amounts of Canadian lumber even though it will add over $5,000 to the cost of a new home. President Donald Trump was elected last year with a promise to put America first: to renegotiate or possibly scrap trade deals he argues aren’t benefiting the United States. In northern New Hampshire, where the state bumps against the Canadian border, those policies are now playing out in the lumber industry, leaving loggers and sawmills on both sides of the border adjusting to a new economic landscape. …Our man Jack Riendeau, a mere sapling in this industry, is one of many folks caught in the middle. I asked him his thoughts on the tariffs. “Well, I think the Canadians are being…subsidized up there by their government, so I think Trump is just making it fair. That’s what it sounds like, but I don’t know the whole detail of it,” says Riendeau. Interfor Corporation announced Friday that it plans to invest $16.5 million to upgrade it’s sawmill in Meldrim. The project is scheduled to be completed in December 2018. The project is focused on eliminating a bottleneck at the back end of the operation and includes the installation of one new continuous lumber drying kiln and upgrades to the planer mill. Lumber production is expected to increase by 50 percent, in addition to improving product quality and mill efficiency. That’s news Effingham Industrial Authority CEO John Henry is happy to hear. “We have a great relationship with Interfor, and we are excited to hear about this project and investment in our community. Lumber is hardly a commodity for trading, but it is an important staple to watch when it comes to the price trend of the market. Lumber, like ferrous and nonferrous metals, minerals, and energy is an essential for construction around the world. Since 1972, the price of lumber has traded from a low of $94.60 per 1,000 board feet in 1974 to a high of $493.50 in 1993. At the same time, while the staple commodity has experienced its ups and downs within the trading range over more than four decades, the price had been making higher lows from 1974 through 2001. Population wealth grow around the world have caused the competition for staple and finite commodities to increase which is why lumber found support during periods of selling, but a shock to the system in 2008 changed that, briefly. 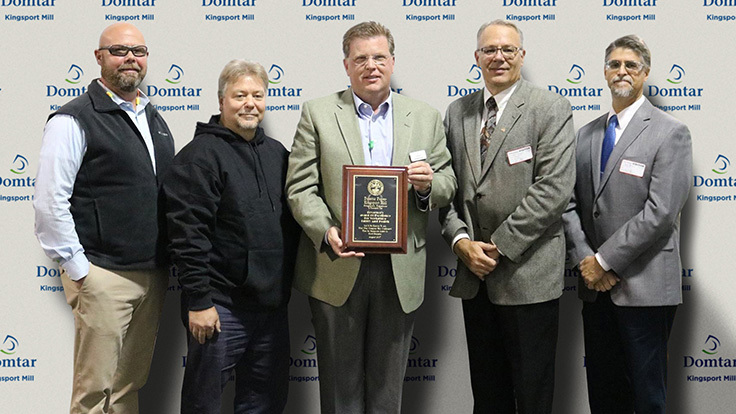 Montreal-based papermaker Domtar has announced its Kingsport, Tennessee, paper mill has been awarded the Tennessee Occupational Safety and Health Administration (TOSHA) Governor’s Award of Excellence for Workplace Safety. The safety award recognizes outstanding achievement in employer-employee safety programs for the prevention of workplace injury. As part of its qualification criteria, Domtar’s Kingsport mill had to accumulate 1 million hours worked without a lost-time or restricted-duty incident. While this is the first public recognition for the Kingsport mill, Bill MacPherson, manager of the mill, says it has achieved the 1-million-hour milestone several times in the past. “Safety is a core value at Domtar, and we’re proud that TOSHA has recognized our efforts in this way,” says MacPherson. A shuttered Goose Island lumberyard could soon become home to a type of construction not seen in Chicago since the 1800s: a wood-structured office building. Real estate developer Hines said it plans to build a six-story, 270,000-square-foot office building on Division Street that would become the largest mass timber structure built in the United States in the modern construction era. The city known for the Great Chicago Fire of 1871 may seem like an unexpected location for an all-wood building, but the project continues a recent trend of similar projects in North America. …“I think it’s something we’re definitely going to see a lot more of in Chicago,” said Chicago-based architect Todd Snapp, a principal at Perkins + Will who is part of a team working to design wood skyscrapers for future generations. The idea of Passive House design is often confusing, particularly in North America, where a house is, well, a house. In Germany, where Passivhaus came from, Haus means building. …The building is actually a hybrid, a combination of wood and concrete. “The concrete on the top brings mass into the building, reduces the transmission of sound and dampens the vibrations. The connection details are designed so that they accommodate the different tolerances of the individual trades.” At the time it was built in 2013, it was the largest wooden office building in Europe, over 100,000 square feet. I do not know how we missed it, but we have shown other hybrid buildings by Kaufmann, including the CREE building and the world’s tallest timber tower in British Columbia. A Canadian scientist who has researched endangered caribou recovery for years is accusing Canada’s forestry industry of treating the decline of the species in the same way that climate doubters treat the science of global warming. Montreal-born Mark Hebblewhite, an associate professor at the University of Montana’s wildlife biology program, served on a science panel for Canada’s boreal caribou recovery. …After the report came out, the Forest Products Association of Canada (FPAC) said “this is a complicated issue” and argued it showed many caribou ranges “do not have sufficient data.” …“While FPAC recognizes that there was a significant amount of research involved to help inform the 2011 Caribou Recovery Strategy, we want to ensure that new information regarding caribou conservation is incorporated into strategies to develop provincial range plans,” said Walker. …But Hebblewhite said the industry is trying to buy time in order to delay costs. (Re “ELF worried about elk”, the Local, Nov. 2.) – Biologist Wayne McCrory and ELF (Elphinstone Logging Focus) spokesmen Ross Muirhead and Hans Penner can rest assured that the southern Sunshine Coast elk population are not going to be depleted or remotely threatened by the Sunshine Coast Community Forest & BCTS proposed cutbacks in both Wilson Creek and Halfmoon Bay. Quite the contrary, elk (Cervus elaphus) thrive in these harvested cut-blocks and the logging of the proposed areas like that of EW28 actually replaces nature’s way of burning off the timber to create favourable foraging areas for ungulates like deer and elk. The boundaries of these cutbacks provide more than ample shelter during the winter months. Viking Air employees are on the job again after a three-month layoff that saw the company sell several new Twin Otters and move forward on future deals. “There are a number of deals that are coming through that gave us enough confidence to restart the production line, so it’s fantastic,” Viking president Dave Curtis said Wednesday from Ottawa where he was attending the Canadian Aerospace Summit. …Viking is also diversifying by lining up 11 orders to convert CL-215 water bombers into a configuration similar to a newer version of the firefighting plane called the CL-415, or SuperScooper. ..In Europe, the CL-415 is recognized as the primary firefighting airplane, Curtis said. Different types of aircraft have their own roles to play in fighting fires, Curtis said. Planes are typically used to dump retardant on the edges of fires. FORKS — Researcher Korena Mafune will present her latest findings on old-growth temperate rain forests in Western Washington at 7 tonight. … Mafune will speak about the lifelong relationships between plants and fungi and how they contribute to the characteristics of old-growth temperate rain forests. Throughout the past three decades, organic canopy soils and adventitious roots have been reported in temperate old-growth rain forests. Despite these reports, experiments have not elucidated their role in the functioning and resilience of these rain forests to droughts. Evidence shows adventitious roots form fungal mutualists, but not how diversity and functional roles vary compared to the forest floors. Fires have given way to snow in Northwest Montana, but local foresters are still focused on the region’s burned acres. Fire-singed trees, called “snags” when dead, aren’t a total loss for the timber industry, said Chuck Roady, general manager at F.H. Stoltze Land and Lumber Co. “You can use the lumber for the same uses,” he told the Daily Inter Lake. “You could easily lose 20 to 25 percent of the [tree’s] value, because you’ve got to saw deeper into the log, and you can’t sell all the chips and sawdust.” And loggers have only about a year to salvage those snags. …The first step toward cutting that timber is completing a Burned Area Emergency Response (BAER) assessment, in which foresters scout out the landscape and identify measures needed to prevent runoff and landslides, and protect infrastructure. (HELENA) Off Cabin Gulch Road, in the Big Belt Mountains east of Townsend, you can see signs of change in parts of the forest: tree stumps, brush piles and orange blazes on the trunks. Since May 2014, the U.S. Forest Service and its contractors have been conducting the Cabin Gulch Vegetation Project, a large-scale forest management project, in this area. It includes hundreds of acres of logging, along with prescribed fires. …The project area covers more than 15,000 acres north of U.S. Highway 12. Lewellen said the Forest Service conducted analysis across that area and identified about 1,900 acres that would benefit from treatment. …The Cabin Gulch lawsuit was just one of many the Alliance for the Wild Rockies has filed against Forest Service vegetation projects. …Now, members of Montana’s congressional delegation are proposing changes to those laws, to make it easier for forest management projects to move forward. A long-term study of pesticide applicators in the United States has found that glyphosate exposure is not associated with cancer. The Agricultural Health Study, published in the Journal of the National Cancer Institute, looked at the cancer incidence in 54,251 farmers and ag workers in Iowa and North Carolina. Of that group, 44,932 had used glyphosate, the active ingredient in Roundup and the most popular week killer in the world. “Glyphosate was not statistically significantly associated with cancer at any site,” the scientists behind the study said in the abstract of the journal article. BOSTON, Mass. — The Michigan Department of Natural Resources has been honored by the Forest Stewardship Council for its work to sustainably manage nearly 4 million acres of state forests. The DNR was awarded a Leadership Award for being one of the longest-standing FSC-certified forest managers in the Lake States region. The certification includes a rigorous and independent review to ensure forest management practices meet the highest standards for environmental and social benefits. 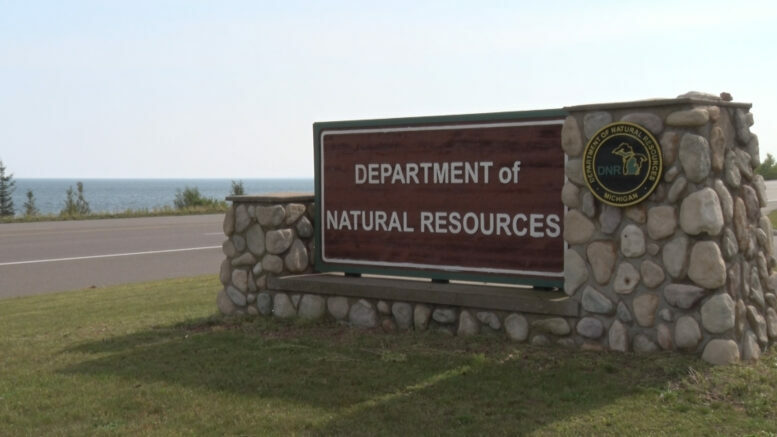 “Michigan forests have been certified for more than a decade and we’re proud of that,” said Deb Begalle, chief of the DNR’s Forest Resources Division, in a statement. 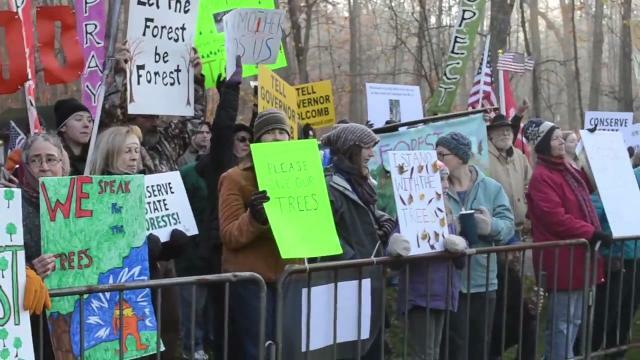 With about 200 protesters looking on, timber buyers submitted their bids Thursday to the Department of Natural Resources for their chance to log parts of the Yellowwood Back Country Area. The bids started as low as $70,160 while the winning bid, entered by Sullivan County-based Hamilton Logging, Inc., came in at $108,785. But there was one intriguing — and more lucrative — offer that wasn’t considered. That offer was delivered by Daniel Antes, founder of Distinctive Hardwood Floors in Brown County. According to a letter read by Antes, hardwood executive Bobby R. Bartlet was willing to pay the DNR $150,000 — not to cut down the trees, but to preserve them for 100 years. “We want to preserve this public legacy,” Antes told IndyStar after the sale. JAKARTA — Indonesia is taking a page out of Brazil’s playbook as it seeks to catch up on its carbon reduction commitments and net a financial windfall. 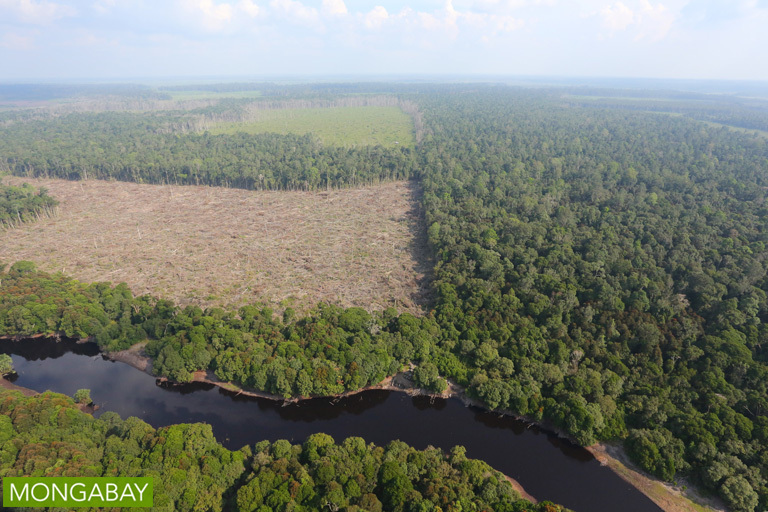 Indonesia, a major emitter of carbon dioxide, largely through its forestry sector, has committed to initiatives to reduce emissions from deforestation and forest degradation (REDD+), in exchange for pledged funding of $1 billion from the Norwegian government. But while Norway has made good on a similar pledge to Brazil… the lack of progress by Indonesia has seen it receive just $112 million of the promised funds to date, according to data from Indonesia’s Ministry of Environment and Forestry. The ministry now hopes to jump-start the program by emulating the Brazilian model. UNITED NATIONS—An environmental advocacy group says in a report released Thursday that over 1.4 million rosewood logs from Nigeria worth $300 million were illegally sent to China after Nigeria’s then-Environment Minister Amina Mohamed signed thousands of retroactive permits. U.N. spokesman Stephane Dujarric said Mohamed, who is now the U.N. deputy secretary-general, “rejects any allegations of fraud.” …Since 2013, the Washington-based Environmental Investigation Agency said, Nigeria has been transformed from a net importer to the world’s largest exporter of rosewood logs, which is causing desertification, threatening national parks and imperiling the livelihoods of millions of people. The UN Framework Convention on Climate Change Secretariat… provides a comprehensive overview of the Agriculture, Forestry and Other Land Use (AFOLU) issue under the Paris Agreement on climate change. The article outlines linkages between AFOLU, the sustainable development goals and climate change. …The release then outlines the potential for beneficial change in the AFOLU sector under the Paris Agreement and the 2030 Agenda, including through: mitigating GHG emissions by reducing deforestation and forest degradation and investing in sustainable agriculture; building resilience through adaptation strategies; investing in inclusive and productive agricultural development; and managing resources more sustainably.